Taking control of your health through improved nutrition, supplements and lifestyle choices. Need to lose weight or fuel your body better for reduced food cravings, elevated moods, better focus, weight loss & increased energy levels? This Program was born from a need for a weight loss program that is effective in obtaining your weight loss goal, considers your overall health, and maintains your weight loss long term. We have reviewed the current literature on supplements, macronutrients (Carbohydrates, Fats and Protein) and micronutrients that aid in weight loss. The latest research shows there are specific supplements that control cravings through neurotransmitter, gene and hormone modulation and modifying eating habits on a macronutrient level thereby developing a healthy weight attitude to ensure long term success. This Program is focused on nutrients for your body, as these are the building blocks of everything your body does. This includes metabolism, immune system, satiety centres and neurotransmitters, or as I like to call it nutrients that talk to your genes. Consider the tanker truck above. 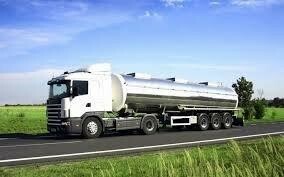 The truck itself runs on a small fuel tank supply that is like glycogen (stored sugar) in our body. This tank is small and will run out of fuel fairly quickly. The tanker trailer being pulled behind the truck contains lots more fuel (like fat in our bodies). When the truck operates only on the fuel in the small tanks (stored sugar) the tanker could run out of fuel even when the trailer tank is still full of fuel (fat). Think of your body’s fat reserve as the tanker section of the truck and most people cannot tap into their fuel reserves for energy to lose weight. Imagine if the truck had a switch that when its fuel tanks are running low the driver presses the switch and then has access to the tanker section of the truck, giving a vast supply of fuel. Would you like to be able to do this in your own body? Well you can! You just need to be guided through to find your switch to gain access to your vast supply of fuel for energy! 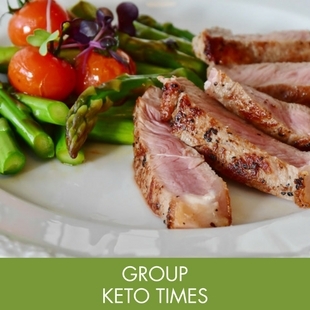 You can choose to Go Yourself Keto or join our The Group Keto sessions or The One Keto for the individual approach. A self-guided program using the My Keto Clinic manual and receiving our Weekly Health Tip by email. As well as the My Keto Clinic manual and Weekly Health Tips, this program also includes group consults and all products needed to succeed in the program. All of the benefits of the Group Keto, plus a one-on-one consult with all the bells and whistles. *See flyer to the right for complete list of inclusions/exclusions for each program. If you’re ready to join My Keto Clinic, please call 07 3832 2888 or fill out the enquiry form below and we’ll get in touch asap. Would you like us to call to arrange a one on one or group consultation? After years of restrictions, like low fat, low calorie, and yo yoing – up of a weekend and taking all week to get back down, I feel I have finally found a peaceful place with the foods I can enjoy, without feeling guilty or hungry. Weekends I can join my husband with eggs and bacon, tomato/mushrooms and maybe one slice of toast for breakfast with butter. I never thought I would ever find a substitute for my toast and vegemite for breakfast but breakfast is now chicken broth with cauliflower and celery blended into it with a dob of sour cream. That keeps me going, even at the gym because I have enough energy. I have a nice lunch and snack of an evening or a small Protein based meal. I don’t have the hunger any more. You were right to say be patient, what is actually happening is that my old habits had to be replaced with new ones. My head is clearer too. I don’t get the bloated feeling that I didn’t realise I was getting, until my new eating habits became the daily norm. The main thing is that the fat in my diet is satisfying and I have learnt to reduce the desire to eat and I now recognise true hunger much better. Reducing the guilt has made food a friend not the enemy. I would encourage anyone to be strong, be patient and to eat fats. It’s worked for me. Thank you for encouraging me to be patient and to trust you. This has enabled me to find my way to an eating plan that defies old dietary beliefs, and is sustainable.